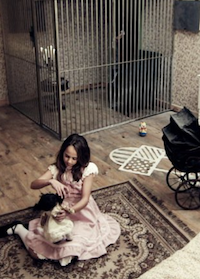 The Top Escape Rooms Project is an attempt to find the very best escape rooms in the world. Rather than relying on public internet-based polls that can be dominated by the companies with the biggest marketing budget and spammed by bots, we instead use the collective experience of 70 of the most experienced escape room enthusiasts in the world to nominate and rank the escape rooms and companies that appear in this list. The top 25 rooms and top 10 companies for 2018 as determined by this project will be awarded a Top Escape Rooms Project Enthusiasts' Choice Award, or TERPECA, which represents the best of the best in the global escape room industry. The following escape rooms have earned the 2018 Top Escape Rooms Project Enthusiasts' Choice Award for Top Room. 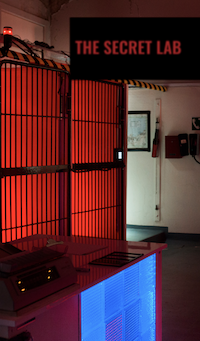 These rooms stand out among all the others and exemplify the best of what the escape room industry has to offer. Note that the rankings in this list have slightly changed from what was originally announced, due to an issue that was discovered and corrected in the voting data. 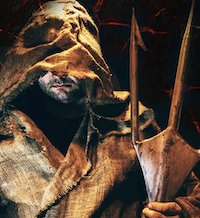 "The first ever combination of an Escape Game and a Radio play. Over five different locations, a drama with breath taking effects, and a story full of excitement beckons. Have you ever dreamed of playing the leading role in a drama full of suspense? This room has restrictions and is not suitable for physically challenged or very large players." "While on a Caribbean vacation you decide to explore the island of Isla Mujeres, rumored to be the location where the notorious pirate Jean Lafitte hid his most priceless treasure." 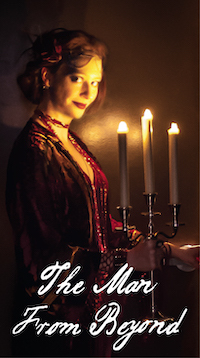 "Madame Daphne cordially invites you to a private séance to contact the spirit of Harry Houdini. But all is not what it seems, and when the ghost appears, things take a dramatic turn. Unravel mysteries a century in the making, and you could find yourselves doing more than escaping a room." "Forget everything you know about Escape Rooms. 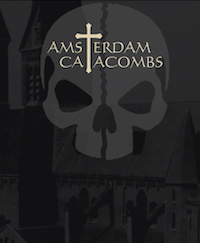 The Amsterdam Catacombs is an interactive Horror Adventure deep under an old church. Without telling too much, we can promise you that this will be unlike anything else that you have experienced in an Escape Room so far! This is a 90 minutes Room Escape experience. It involves moments of stress, darkness and flickerling lights. This experience is not suitable for children and you should be mentally stable and averagely fit. " "During draining pipe repairs under the Humboldt University, maintenance workers have made a remarkable discovery, uncovering the entrance to a previously unknown facility. An immediate search by the workers seems to have backfired, however, as they have been neither seen nor heard from since. The entry has been closed by government order and officials are currently looking for a team of experienced archeologists to attempt a mission to unveil the location's secrets. 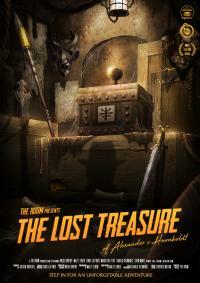 A breathtaking adventure from and for fans of Indiana Jones and the Goonies. At least one member of your team should not be claustrophobic and afraid of darkness!" "Since the discovery of Edison’s telegram, the Palace Games team has located his study at the Palace of Fine Arts. It is now open to the public. 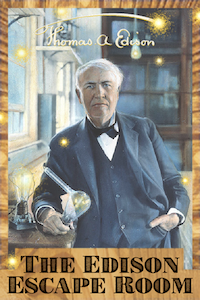 Come play to learn the secret reason Edison built and maintained this special place at the Palace of Fine Arts!" 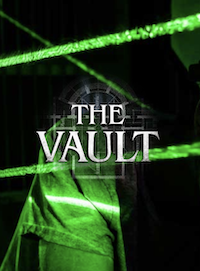 "Can you break into the world's toughest vault?" 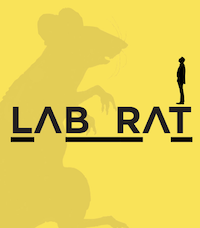 "Lab Rat takes place in a laboratory where giant rats are doing experiments on human beings, specifically you!" "Dive through a time portal, then voyage through forgotten and undiscovered worlds on a quest for an object of unfathomable power. 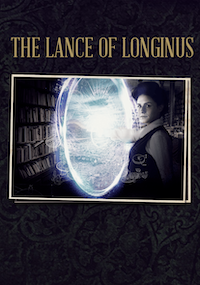 Run through time, against clock, to track down the Lance of Longinus - before your 60 minutes are up." "Ghost hunter Ernie Hudson gets a second case! Break into the disused Zoo of Death and decipher his grim secrets. " "The alchemists claimed to be able to achieve the transformation of metals into gold, although their objective was focused on a greater challenge, the obtaining of the alchemical stone. Magical properties are attributed to this object, including immortality. Thanks to interpretations of recent writings that are known, it is believed that this stone could be found in the catacombs of Minos, on the island of Crete. Eternal life and infinite wealth, objectives that for decades many adventurers tried to go in search of. Unfortunately, without any success. 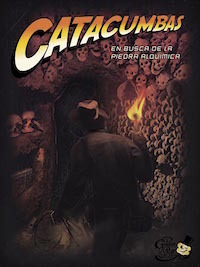 Getting out of the catacombs alive is not so easy." "You were travelling in the mountains of Andorra, when suddenly a snow storm hit you. Your chances for survival seemed slim, but suddenly you saw an abandoned hut in front of you. But as soon as the door closed behind you, avalanche descended, and the door was blocked with snow. You can’t wait the storm out in the hut, and there is not enough fuel in the generator, so it will only last for one hour. You have to repair an old radio and to call for rescue as soon as possible. But in some time you come to an awful understanding: there is something wrong with this house, and awful things are happening in it!" "The Kensie Research Lab was a marvel of 70s technology, with the best equipment money could buy. Situated in Edinburgh, smack in the middle of an old veterinary hospital so not to raise suspicion, the lab was designed around the research and creation of vaccines and viruses. The mastermind behind the project was Professor Lyall Kensie, a brilliant bio-chemist. Do you have what it takes to discover what lies within The Secret Lab today." "You’ve heard whispered tales of a mysterious book collection and its curator, an elusive figure known only as Jak. Rumor has it that Jak is seeking adventurous souls to retrieve a valuable item, a treasure which Jak claims to have lost in a most peculiar place… Do you dare to answer Jak’s summons and explore the secrets of the hidden library? This game includes physical activity such as kneeling and crawling. Comfortable shoes are highly recommended. The game also features low lighting in some areas. 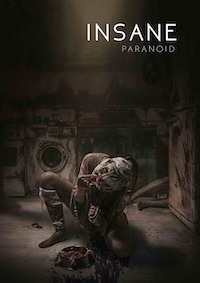 The game includes a mild “jump scare” style interaction with a character." "Your group has been invited to a seemingly-normal Koreatown apartment owned by a local entrepreneur to discuss a business opportunity. 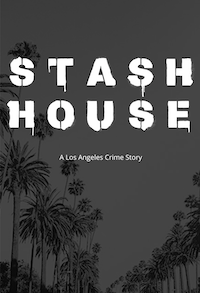 Shortly after arriving, you discover the apartment belongs to Ray Jones, notorious Los Angeles drug kingpin, and that Ray has a test in store for you: find all the drugs hidden in the space and flush them before the cops arrive or face the consequences." "The Girl’s Room is the famous, notorious and widely acclaimed Escape Room 2.0 sensation for grown girls and tough guys!" "Humanity needs a new energy source and within the lost Atlantis, lies the heart of Poseidon. Marked by the sins of its kings, destroyed by Zeus, it still guards this treasure. Within the depths of the abyss, it calls you – the worthiest of the worthy – to unravel the ball of mysteries. 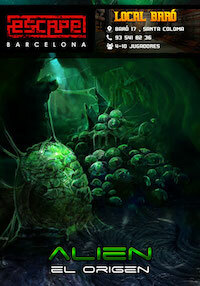 If you are not afraid of the ancient traps, sign up for the expedition! Leave a normal man, return a hero! " "Be part of the crew of the USCSS Escape and travel to the planet Grathus." "Split personality. Dissociative disorder. What kind of terms did they not call this disease ... You had a unique chance to get to know a person more closely, who has at least 8 different personalities living in his head. All of them are eager to meet with you: share your story and shed light on the mysterious series of deaths in the house of the Foresters. But beware: it is impossible to predict who will be next on the other side of the lens. 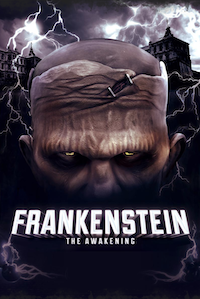 In the quest there are two versions of the game, differing in the level of fear. 3 actors and 8 acting characters. Contact level of your choice. Free parking. If you are afraid to play, you can watch the game of your friends on the screen in a cozy welcoming area." "A greenish light shines through the stained glass windows of the massive wooden doors that fall behind you in the lock. Feverishly you try to open the door again, but in vain. You let your eyes scrutinize the space. 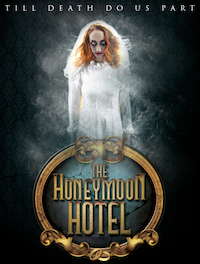 An old wooden counter, a dull golden baggage trolley with suitcases, a broken piano, a lift ... You're in the lobby of The Honeymoon Hotel. Behind a door that apparently leads to the honeymoon suite, there is a noise, suddenly the light goes out ..."
"In the last few days, an anonymous company has suffered several unexpected vacancies and is looking for the most qualified personnel to take over the vacated positions." "Tick-tock, tick-tock… Who’s there? Time is following us at our heels. Hope to hide in shisha smoke? Yet silkmoths are treacherous, too. Flower roots have entangled your legs, each one is ready to strangle you. Mushroom screams can be heard from everywhere. Only a miracle can save you from their rage. Where is the floor and where is the ceiling? Just one last sip of common sense remains! All hats are long gambled away and the goofy hare will not make it till March. The scaffold awaits the Mad Hatter impatiently, the smile is here, but where is the cat?" "When you booked your vacation to see the great pyramids, you thought it would be more interesting. But as your tour guide drones on and on about different types of ancient pottery and myths, you decide you could have much more fun if you were exploring on your own. When no one is looking you quietly slip away from the group and make your way down a dark passage marked "Unmapped Area. Do Not Enter!"." "Get thrown right in the middle of the action. The police closes in fast as you’re trying to break into the illustrious office of Starlife Enterprise. 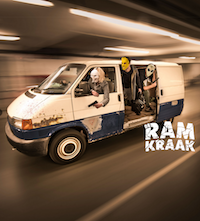 When the locks are about to open you suddenly realize… What’s even in that vault?… Come and find out yourself in the Ram Raid!" "It’s been some time since Victor has been within his study, and his work sits idle. ...Before his capture Victor put certain…”measures” in order to assure his creations arrival. That is why you are here. You are some of Victors most prized colleagues and students. My name is Henry, Victor is my friend, and I will stop at nothing…WE will stop at nothing — to see Victors creation awaken." The following companies have earned the 2018 Top Escape Rooms Project Enthusiasts' Choice Award for Top Company. 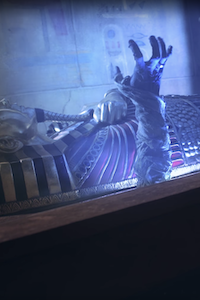 These companies have demonstrated a sustained ability to produce games and experiences that excel in all ways and exemplify the best of what the escape room industry has to offer. The project consisted of two phases: a nomination phase and a ranking phase. In the nomination phase, invited participants were asked to privately nominate up to 20 rooms and 10 companies that they felt should be considered in the conversation for best in the world. Any room or company that received two or more independent nominations was deemed to have sufficient support to move on to Phase 2, with the idea that for a room or company to be worthy of the distinction of being one of the best in the world, then it would surely be nominated by at least two people. For a company to be included, it needed to have produced at least two rooms, as the company rankings are intended to represent a sustained ability to produce games and experiences that excel in all ways, from puzzle design, to set design, to customer service, or anything else. Besides, a company with just one room could still have that room compete on its own merits in the room rankings. For a room to be included, participants were free to include any room they had played, using any criteria they felt was relevant to a room being considered one of the best in the world. Owners, designers, and employees were not allowed to nominate their company or any of their rooms. A total of 49 enthusiasts contributed to Phase 1, resulting in 102 rooms and 54 companies with multiple nominations that moved on to Phase 2. For the complete list of rooms and companies that were nominated in Phase 1, click on the corresponding Phase 1 Results sections in the sidebar. In the ranking phase, participants were asked to provide a complete, ordered stack rank of the companies and rooms that survived Phase 1. They were only allowed to rank rooms that they had played, and were only allowed to rank companies for which they had played two or more rooms, to ensure enough exposure to a given company to make a fair assessment. Again, owners, designers, and employees were not allowed to rank their company or any of their rooms. Stack ranks were chosen rather than numerical ratings because it forced participants to think hard about every entry in their stack, and did not suffer from different people having different calibrations for numerical ratings. Stack ranks also have the nice property that you can always add new rooms at the very top as rooms worldwide get better and better without having to recalibrate your numbering system or add "6-star" ratings. A total of 70 enthusiasts providing rankings in Phase 2, including all of those who contributed to Phase 1, and the output of these individual stack ranks provided the input to the final global rankings. Many approaches were considered and tested for the best way to determine a mathematically sound, unbiased final ranking. Ultimately, the approach that was chosen was based on an academic paper about ranking college football teams that is itself based on the Perron-Frobenius theorem. In a nutshell, each stack rank was used to create all possible pairwise comparisons between rooms (or companies) in a given stack rank, and then those were used to create a matrix of scores between rooms using all the direct comparisons from any of the participants. To make the analogy to the college football analysis, we considered the score of a match between two rooms to be the number of people who preferred each room in their implied comparisons. A small correction was added using the Wilson score binomial confidence interval to ensure that slightly more confidence was given when more comparisons between the same two rooms were available, and pairs of rooms that had no direct comparisons were considered to be evenly matched so as not to overly penalize rooms that didn't have as many direct comparisons. Finally, the eigenvector corresponding to the greatest eigenvalue was calculated, and the entries in this eigenvector were used as the scores for each room (or company). The results given by this analysis were studied in detail to verify that the final rankings stood up to careful scrutiny when comparing two rooms to each other based on all the stack ranks that included both, but this data is excluded from the final report because it can be used in some cases to infer individual preferences between rooms. Suffice it to say that we are quite confident that the outcome here faithfully represents the data provided by those participating in the project. Ultimately this analysis provided an aggregated stack rank of all the rooms and all the companies in Phase 2, but we have chosen only to recognize the top 10 companies and top 25* rooms as official award winners. The primary reason for this is that two nominations to reach Phase 2 was a pretty low bar designed to make sure that the very best possible rooms and companies would make the list if any two participants had played them, but it did not guarantee that those that did get nominated actually were significantly better than, say, those that got only one nomination in Phase 1. We also did not feel it would make sense to award significantly more rooms or companies than any one person could have nominated. Regardless, we still present complete final rankings of rooms and companies from the Phase 2 analysis, which you can find by clicking on the corresponding Phase 2 Results sections in the sidebar. * Note that originally we only planned to recognize 20 rooms, but after an issue was discovered in the data after the awards were initially publicly announced, the list was extended to 25 rooms so as not to retract any publicly announced award winners that dropped from the top 20 and to honor 5 more rooms that the data suggested were also deserving. It should be noted that while all rooms from anywhere in the world were eligible for inclusion in this project, the pool of enthusiasts tapped to participate skew heavily towards North America and Europe, and are primarily English speaking, so it is almost certain that some rooms that should have been included in this project were excluded due to lack of exposure to the participants. That said, the experience of the participants is still quite significant, as the average number of rooms played by each participant in this project is over 300. To reach this number of games, many of them have travelled extensively to play the best rooms in the world and can offer direct meaningful comparisons between rooms in different markets. Looking at the Coverage column in the Phase 2 results for both rooms and companies actually suggests that we have excellent coverage of these markets and that the comparisons are quite defensible. Finally, the methodology chosen does have a bias that the more rooms someone has played, the bigger an impact they'll have in the rankings, as they'll be able to provide significantly more comparisons between rooms. We accept this as a feature, not a bug, as we believe that it is certainly a defensible position that those with more experience be given greater weight in this regard. The following 253 rooms were nominated by at least one person in Phase 1. The number of independent nominations is shown in parentheses. Rooms with two or more nominations moved on to Phase 2 and are shown in bold. This list should explicitly not be taken to be a meaningful ranking, as the geographic distribution of the participants was not uniform. The following 114 companies were nominated by at least one person in Phase 1. The number of independent nominations is shown in parentheses. Companies with two or more nominations moved on to Phase 2 and are shown in bold. This list should explicitly not be taken to be a meaningful ranking, as the geographic distribution of the participants was not uniform. The final room rankings from Phase 2 are shown below. Score is the final output of the analysis. Players is the number of players that ranked that room. Coverage is the number of other rooms in the list that were directly compared to that room by at least one player. Comps is the total number of comparisons made between that room and all other rooms by all players. The top 25 rooms have been awarded a TERPECA for Best Room and are shown in bold. Note that, as described in the Methodology section, while this data is interesting, we do not claim for this to be the authoritative list of the top 102 rooms in the world, as rooms lower on the list would not necessarily have been ranked this high if other rooms that had zero or one nomination had made it to Phase 2. The final company rankings from Phase 2 are shown below. Score is the final output of the analysis. Players is the number of players that ranked that company. Coverage is the number of other companies in the list that were directly compared to that company by at least one player. Comps is the total number of comparisons made between that company and all other companies by all players. The top 10 companies have been awarded a TERPECA for Top Company and are shown in bold. Note that, as described in the Methodology section, while this data is interesting, we do not claim for this to be the authoritative list of the top 54 companies in the world, as companies lower on the list would not necessarily have been ranked this high if other companies that had zero or one nomination had made it to Phase 2. Rich Bragg (Los Altos, CA, USA) is the primary creator of the Top Escape Rooms Project. Rich has played 567 escape rooms and 269 puzzle hunts in North America and Europe, and aspires to play a puzzle hunt and an escape room in every U.S. state, so far having played puzzle hunts in 27 and escape rooms in 14. He was a member of the Global Wildcard team in the 2017 Red Bull Escape Room World Championship, is a Guinness World Record holder for most escape rooms played in one day, and in his primary occupation, is the co-founder and CEO of ClueKeeper, a platform for creating and playing location-based clue hunts. Errol Elumir (Toronto, ON, Canada) was the chief evangelist for the project, contributed to the web design, helped recruit enthusiasts to participate, and provided a useful sounding board throughout the project. Errol has played 240 rooms and is a co-host of the podcast Room Escape Divas, helps compile the annual Escape Room Enthusiast Survey, creates large scale theatrical escape events, creates puzzle hunts like the Cryptex Hunt, and also has 13 Rules for Escape Room Puzzle Design. Of course, the results of this project are of course only as good as those providing the data for both nominations and rankings, and we are so very grateful for the participation of all of the many impressively credentialed participants listed below. Sera Dodd and Sharan Gill (London, UK) have both played 1055 rooms, making them almost certainly the two most experienced escape room players in the world. They have a staggering 99.85% escape rate, have played in 14 different countries in Europe, and once played 615 games in a single year. Both were members of Team UK in the 2017 Red Bull Escape Room World Championship and have already qualified to represent the UK again in 2018/19. Sera also runs the UK Escape Room Industry Conference, works part time as a UX and design consultant for a couple of the most popular escape room companies in the UK, was a speaker at Up the Game in 2017 and 2018, is an admin of the UK Escape Room Owners Facebook group, is a moderator on the UK Escape Room Enthusiasts Group, and was a huge help in recruiting some of the most experienced European participants for this project. In her spare time, she's a doctor. 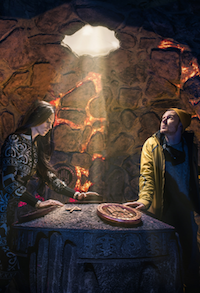 Amanda Harris and Drew Nelson (SF Bay Area, CA, USA) have played 925 and 737 rooms, respectively, making them likely the two most experienced escape room players in North America. Amanda is also a Guinness World Record holder for most escape rooms played in one day. Josep and Eulàlia (Barcelona, Spain) have both played 870 rooms, making them likely the most experienced escape room players in continental Europe. With an amazing 99% escape rate, they started playing escape rooms in January 2014 in Barcelona, and the vast majority of the games they've played have been in Spain (856). They run the blog Die Helden where they rank all the escape rooms they have played, and they also own a Facebook page and an Instagram profile where they disseminate all kinds of information related to the Spanish escape room community. Ken Ferguson (London, UK) has played 702 rooms and runs The Logic Escapes Me, an escape room review blog covering the UK and Europe, as well as Exit Games UK, a directory, map, and news site for UK games. He was a member of Team UK in the 2017 Red Bull Escape Room World Championship and is on the design team for the 2019 competition, and was a speaker at both the UK and European escape room conferences in 2017 and 2018. Ken was also very helpful in recruiting more participants for this project from the European enthusiast community and provided lots of useful input throughout the project. Nick Schilbe (San Jose, CA, USA) has played 672 rooms, mostly in Russia. Also known as BeefyPanda, Nick is the owner of Off The Couch Games in Santa Clara, CA. David and Lisa Spira (New York, NY, USA) have both played over 650 rooms, publish about escape rooms daily at RoomEscapeArtist.com, launched in 2014, and were on the nomination panel for the USA Today 10 Best Escape Rooms in 2017 and 2018. 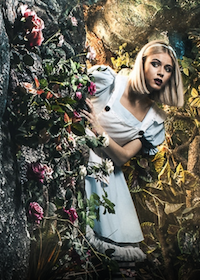 They keep an updated directory of escape room companies in the United States and run Escape Immerse Explore, group tours to some of the country's best escape rooms, including many Phase 2 finalists... and contrary to popular assumption, they also have day jobs. Clarisa Doval (Hamburg, Germany) has played over 500 rooms, making her possibly the most experienced escape room player in Germany, and one of the top few in continental Europe. Hazel Ferguson (London, UK) has played 495 rooms, and yet still considers herself a novice. She's the long-suffering wife of Ken Ferguson and spends much of her spare time editing his terrible writing on The Logic Escapes Me. Dan Egnor (Palo Alto, CA, USA) has played 489 rooms and is a Guinness World Record holder for most escape rooms played in one day. He was also the creator and maintainer of the now defunct, but much beloved, Escape Room Directory, and contributed to the design and production of The Edison Room at Palace Games in San Francisco, a Phase 2 finalist in this project. Toby Powell (London, UK) has played over 450 rooms, runs the escape game review site Escape the Review, and has personally reviewed escape games in 20 different countries. 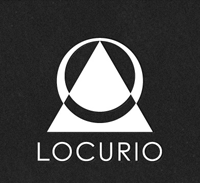 Summer Herrick (Seattle, WA, USA) has played 434 rooms, is co-owner of Locurio, a Seattle escape room company that was a Phase 2 finalist in both categories in this project, and was a speaker at the 2018 Transworld Room Escape Conference. Jonathan McCue (Seattle, WA, USA) has played 419 rooms and is a co-owner of ClueKeeper, a platform for creating and playing location-based clue hunts. He believes that among the crazy, hopelessly addicted escape room enthusiasts he surrounds himself with, he is the sane one. Jonathan also provided valuable input in the data analysis phase of this project in determining the best approach to provide a fair, unbiased, and mathematically sound methodology for using individual stack ranks to generate a meaningful global ranking. Jennifer Geske (Portland, OR, USA) has played 420 rooms and is co-owner of Epic Team Adventures, a highly regarded escape room company in Seattle, Washington. Melanie Vives and Melissa Faucher (Paris, France) have both played 420 rooms and are contributors to Escape Game Paris, an escape room directory and review site for France and beyond. 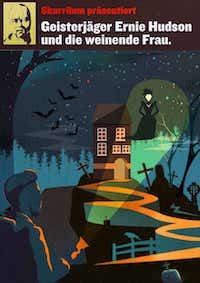 Melanie also creates escape game books for adults and children that are published throughout Europe. Ana Ulin (Palo Alto, CA, USA) has played over 400 rooms and is a Guinness World Record holder for most escape rooms played in one day. She posts about a variety of topics at anaulin.org. Kiki (Los Altos, CA, USA) has played 397 rooms, but still doesn't consider herself a "real" enthusiast. As Rich's wife, she regularly enables his escape room addiction. She also provided a tremendous amount of support and feedback throughout this project. Victor Es and Maria Jose (Barcelona, Spain) have both played over 390 rooms, own and run the escape room blog room-escapers.com with their team, El Quinto Elemento, and manage the Room Escapers Facebook group for over 3,000 enthusiasts in Spain. Mike Yuan (Toronto, ON, Canada) has played over 350 rooms, runs Escape Games Review, a Toronto-focused escape room review site, and is a co-host of Room Escape Divas, a popular escape room podcast. Wei-Hwa Huang (San Jose, CA, USA) has played 349 rooms, was a member of the Global Wildcard team in the 2017 Red Bull Escape Room World Championship, and is a puzzle consultant for the 2019 competition. As an award-winning game designer and four-time World Puzzle Champion, Wei-Hwa's accomplishments are enough to warrant his own Wikipedia page. He also contributed directly to this project by suggesting various approaches to consider for the data analysis including the one that led to the ultimately chosen approach. Jonathan Driscoll (Montreal, QC, Canada) has played 325 rooms and owns and runs Escaparium, an escape room company in Quebec, Canada that was a Phase 2 finalist in both categories in this project. William Chen and Yuan Jiang (San Francisco, CA, USA) have both played over 300 rooms, run the escape room blog Escape Room Tips, and were on the nomination panel for the USA Today 10 Best Escape Rooms in 2017 and 2018. Tammy McLeod (Los Angeles, CA, USA) has played 284 rooms, was a member of Team USA in the 2017 Red Bull Escape Room World Championship, and was the 2009 United States National Sudoku Champion. 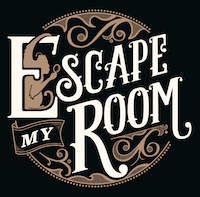 Lucas Johnson (Murfreesboro, TN, USA) has played over 300 rooms and owns two highly regarded escape room companies near Nashville, Tennessee: Locked Escape Game and LiveMinds Adventure Escape. Trisha Huang (San Jose, CA, USA) has played over 250 rooms, around 100 of which were played while pregnant with twins. Jason Lee (San Francisco, CA, USA) has played 244 rooms and was a member of Team USA in the 2017 Red Bull Escape Room World Championship. Jeff Carter (Dallas, TX, USA) has played 235 rooms and serves as a reviewer for Escape Authority. Heiner Stepen (Munich, Germany) has played 212 rooms and runs the escape room community The Munich Escape Plan on Facebook as well as meetup groups for escape room enthusiasts in Berlin, Hamburg, and Munich. Randy Hum (SF Bay Area, CA, USA) has played 205 rooms, runs the escape room review site Escape Rumors, and was on the nomination panel for the USA Today 10 Best Escape Rooms in 2018.
scrabble (Toronto, ON, Canada) has played hundreds of rooms and runs awesome online puzzle hunts for his friends on Slack in his spare time. Lindsay Froelich (Jersey City, NJ, US) has played 200 rooms across seven countries and four continents. She caught the room escape bug in 2014 in the very same game as David Spira of Room Escape Artist (her former graduate school classmate). She keeps a low profile in the community because when she isn't playing with REA, she regularly plays with the most obnoxious two dudes in the room escape scene, and their escapades are embarrassing for all involved (but fun, so fun). Alex and Stefan (Linz, Austria) have both played over 180 rooms and run the escape room blog Two Bears' Life. Manda Whitney (Toronto, ON, Canada) has played over 180 rooms and is a co-host of Room Escape Divas, a popular escape room podcast. She has also done narrative design for three large scale escape events, including the first one in North America to be done on a moving train. 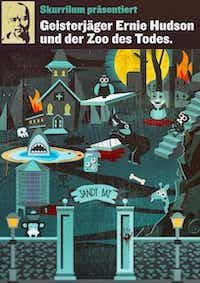 johnpdx (Portland, OR, USA) has played 180 rooms and runs EscapeRoomer, a Portland-focused escape room blog. Edwin T (Calgary, AB, Canada) has played 170 rooms and owns a highly regarded escape room company in Calgary. Theresa Wagner (Rockaway, NJ, USA) has played 164 rooms across 6 countries since her first room 14 months ago. She likes numbers, clearly. Bill Chang (Irvine, CA, USA) has played 155 rooms and is the admin at Room Escape Problems on Facebook. Nick Baxter (USA) has played 150 rooms, was a member of the DxM Wildcard team in the 2017 Red Bull Escape Room World Championship, and is captain of the U.S. Puzzle Team. Richard Chiburis (Mountain View, CA, USA) has played 150 rooms and was a member of Team USA in the 2017 Red Bull Escape Room World Championship. 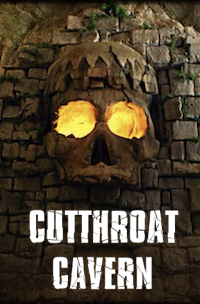 Brett Kuehner (Old Tappan, NJ, USA) has played 130 rooms and has designed several highly regarded escape rooms, including one Phase 2 finalist in this project. 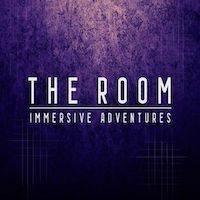 Pim Arts (The Netherlands) has played 120 rooms and runs escapetalk.nl, an escape room enthusiast community serving The Netherlands, Belgium, and Luxembourg. James Cobalt (Boston, MA, USA) has played 120-ish rooms (subject to your own personal game-counting rules and restrictions) across Europe and North America. Before recklessly spending his time and money on such frivolous distractions, he used to develop interactive experiences and story-driven puzzle hunts in the Boston area. Today he is nearly destitute. Chris White (Flowood, MS, USA) has played 110 rooms and has spent more money then he'd like to admit supporting his addiction. David Eiges (Los Angeles, CA, USA) has played 100 rooms and is spoiled by the quality of the average escape room in his home city. Matt Kasper (Campbell, CA, USA) has played 100 rooms and while he doesn't own an escape room company himself, he took a group of friends to their first escape room, got them hooked, and they ended up starting their own room escape business. Salem Ghoweri (Boston, MA, USA) has played 92 rooms and unsurprisingly, his favorite shade of blue is cobalt. Sarah Willson (Los Angeles, CA, USA) has played 88 rooms and serves as the Los Angeles event correspondent for RoomEscapeArtist.com. Shuai Chen (San Francisco, CA, USA) has played 75 rooms and runs Gr8er Good Games, a socially conscious gaming company in San Francisco. She was a member of Team USA in the 2017 Red Bull Escape Room World Championship, and creates and runs pop-up escape games regularly. David Lewis (Cleburne, TX, USA) has played 68 rooms and was/is the technical support guru for both the Cryptex Hunt and the Escape Rooms Slack. Brendan Dubbels and Brittany Napier (Santa Barbara, CA, USA) have both played over 60 rooms and are the co-founders of The Escape Base, an escape room review platform currently serving Southern California that intends to become the Yelp for escape rooms. Charlene Clark (Andover, MA, USA) has played 60 rooms and helps to operate egressors.com and its local ER passport serving the New England area. She has also participated in 17 MIT Mystery Hunts and helped to run/write two of them. Okapikid (Cincinnati, OH, USA) has played 60 rooms and won the 2018 Red Bull Quantum Challenge. Ben Rosner (Brooklyn, NY, USA) has played 56 rooms, netting those companies an estimated profit of well over $1000. Lee-Fay Low (Sydney, Australia) has played over 50 rooms in 6 countries and assists in compiling the annual Escape Room Enthusiast Survey. 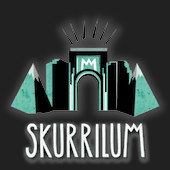 Greg deBeer (Oakland, CA, USA) has played 50 rooms and co-owns Trivium Games, a soon-to-open and eagerly awaited escape room company in the San Francisco Bay Area. Anthony Hoover (Bethlehem, PA, USA) has played 50 rooms and owns Cypher House Escape, a company that makes escape room board games. N (Bay Area, CA, USA) has played 40 rooms, and considers himself an aspiring enthusiast. Owen Halpert (Santa Monica, CA, USA) has played 35 rooms, and at age 17, was the youngest participant in the project. Sim (London, UK and Sydney, Australia) has played 26 rooms and occasionally works at Locked In a Room in the UK as IT Minion (and Avatar of Chaos). Chris M. Dickson (London, UK) has had a major impact on the escape room industry by starting the first English-language escape room blog in the Northern Hemisphere, Exit Games UK (now run by Ken Ferguson), and then following that up with another escape room blog, Ex Exit Games UK. Chris was also a member of the UK team at the World Puzzle Championship twice and its captain once. 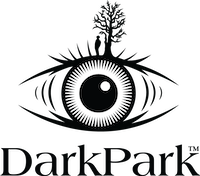 Finally, we would like to thank the various members of the Escape Rooms Slack that made suggestions, gave feedback, and otherwise generally supported this project from its inception and helped in any way possible. Note that the rooms played total for each person mentioned in this section were all self-reported in early November 2018, and there is no clear consensus as to what people do and don't count as a room towards their total. Room Escape Artist offered some great analysis and detailed discussion about the project and its merits. The Logic Escapes Me analyzed the winners in Europe and included a great interactive map of all of the winners worldwide. Room Escape Divas talked to Rich on their podcast and got the inside scoop on how the project started and evolved. Escape Room Tips provided some commentary on the project and links to the games they've reviewed among the winners. Escape Rumors also provided some insight on the project and links to the games they've reviewed among the winners. escapetalk.nl highlighted the project in their weekly roundup covering escape room news in the Netherlands and Europe. No Proscenium interviewed Rich about how the project was conceived and what he looks for in an escape room.  Victor Van Doorn of Sherlocked talked about the project and reviews the games he has played from the list. The project was named to the inaugural Niche 100, which celebrates the most creative and compelling niche brands online today. 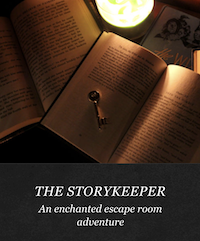 If you have any questions about this project, or if you are a well-traveled escape room enthusiast that has played 200 or more rooms and would like to participate in this project in the future, contact Rich Bragg at rich@topescaperoomsproject.com. You can also like and follow us on Facebook for future announcements about the project.